As I headed west across Michigan's Upper Peninsula I resolved to camp a few days at the great boondocking spot in the Ottawa National Forest that is the Paint River Forks Campground. This one is becoming a regular stop, for good reason! I reviewed the campground previously here: Paint River Forks Review . 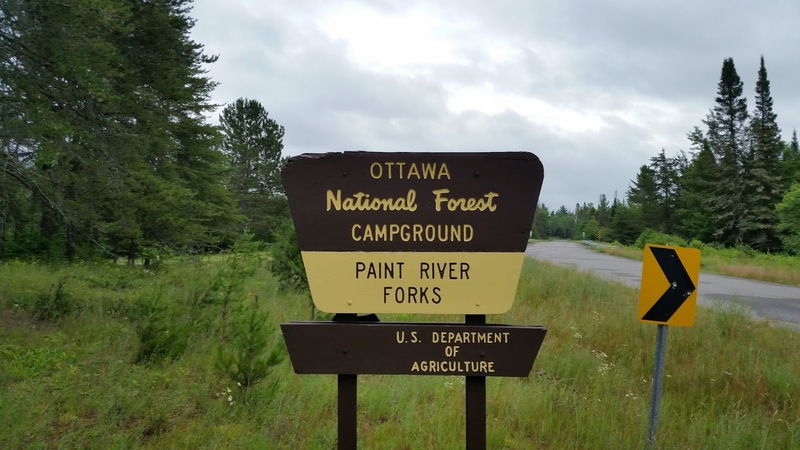 When I pulled into the normally empty campground (at least whenever I'd been there) the two choice campsites that backed up to the Paint River were occupied so I took the third most desirable of the four present. It was a Saturday and I figured one of the sites would open up when the campers went home on Sunday and I could then claim it, sure enough, the best site was emptied as the campers went home and I quickly moved into it. 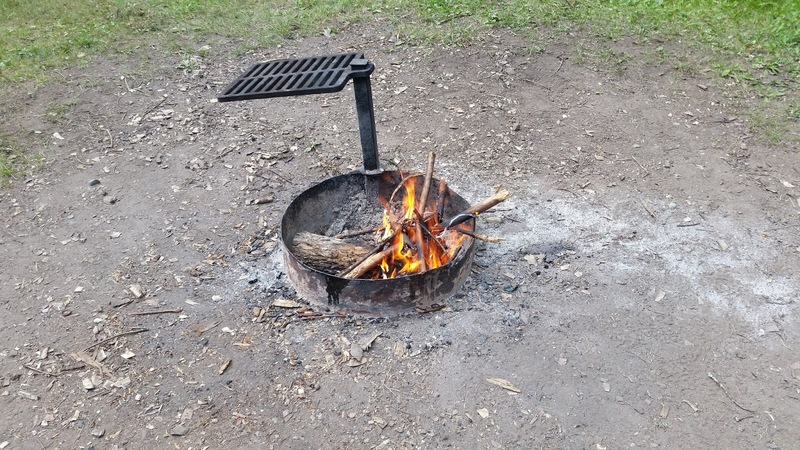 Readers of the blog know I'm generally not a big campfire guy. 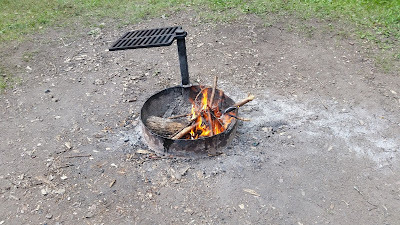 Usually when boondocking alone it just seems kind of wasteful to start a campfire to me so I forego them. 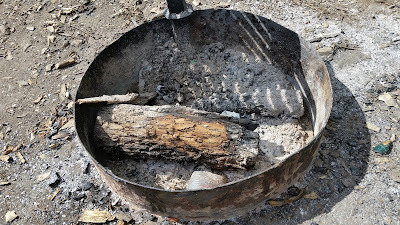 After I set up the site I noticed a thin stream of smoke coming from a log the previous campers left in the site's fire ring that looked completely dead. I decided to conduct an experiment and piled some thin sticks on the end of the log where the timy whiff of smoke was coming from. I didn't use any lighter fluid or a lighter or flame of any sort. Then I waited. Hey it was supposed to be out! Now I know the log was within the fire ring so the chance of a unattended rekindled fire causing a forest fire is pretty low but these logs ARE pine and anyone who has burned pine logs knows that they often pop and shoot out embers from the fire. 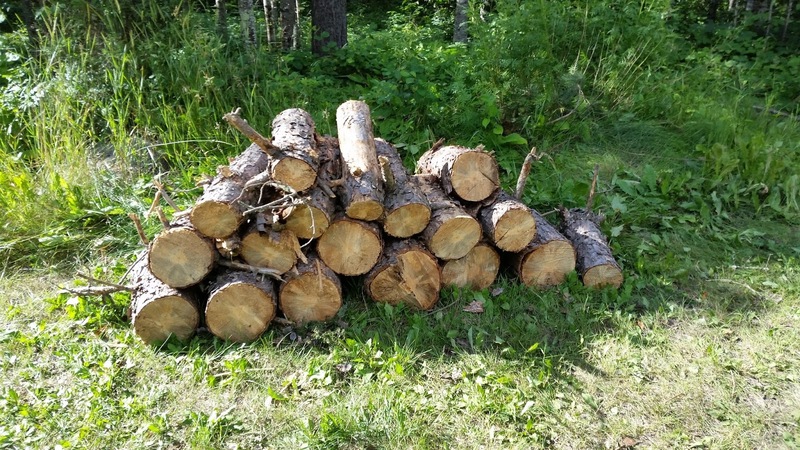 The previous group DID leave a nice pile of pine logs which I left too. The rangers that occasionally stop by convey a simple rule regarding campfires: "If it's too hot to touch it's too hot to leave." The log that was smoldering in the fire ring was obviously too hot to touch, so it shouldn't have been left. Walk down to the river, fill a bucket and douse the logs, I'll get off my soapbox now.